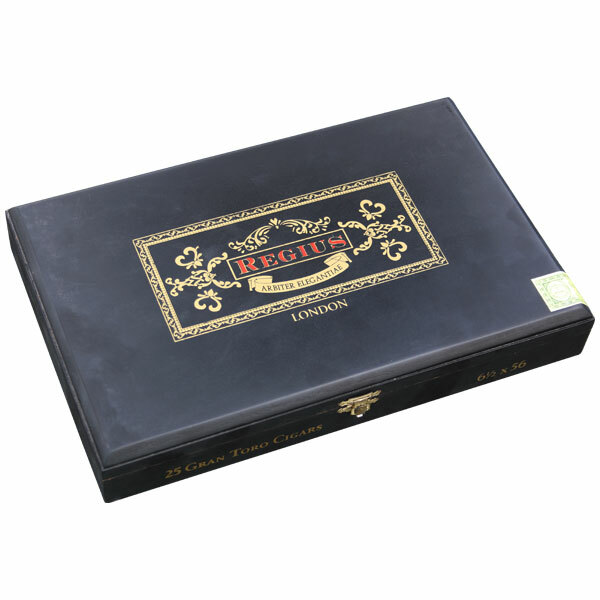 While Regius showcases a focus on Nicaraguan tobacco, being produced at the famed Plasencia Cigars factory in Estelí, the brand was distributed exclusively in the European market until recently, with the Regius of London (aka Regius Black Label) being the first cigar from the company’s lineup to make it to the US. Regius Black Label remains the most popular selection from Regius to this day, offering a medium body and focus on subtleties and refinement that enthusiasts often compare to their Cuban counterparts. The blend is 100% Nicaraguan puro (including well-aged vintages), and each vitola has been blended specifically to suit the given size’s ideal performance. In addition to the cigar’s outstanding construction, enthusiasts can expect a complex array of flavors, including notes of freshly ground coffee, black pepper, sweet nuts, leather, flowers, and cedar.